Heroin | Building A Safer Evansville, Inc.
Heroin is an opiate, a class of drugs that are either naturally derived from the flowers of the poppy plant, or synthetic substitutes. In the case of heroin, it’s produced from morphine, a naturally occurring substance that comes from the seedpod of poppy plants. All opiate abuse, including heroin and many prescription painkillers, carries a strong risk of addiction and physical dependence. 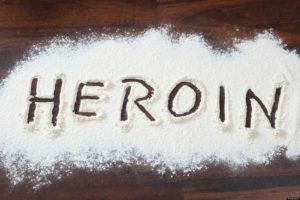 Heroin is abused by injecting, snorting or smoking it, and all three can cause the same level of addiction, as well as serious health problems.